A listing and description of all camps, not including sports clinics and the Epics. Camps listed alphabetically. 10-13Spend the week learning to navigate both flat and moving water! 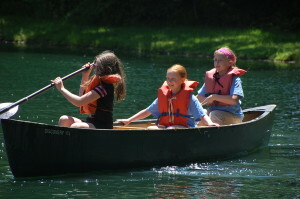 Instruction begins on campus where you will learn the basics of canoeing and kayaking techniques and safety. You will also learn the parts of a canoe. Weather permitting, expeditions down Fall Creek and/or Geist Reservoir will be planned during the week for those who have shown themselves responsible on the water. 7-910-13Join our staff in the kitchen as we learn how to cook a variety of yummy dishes. You will begin the week with an orientation in cooking equipment and appliances. You will also learn how to follow a recipe and create a delicious meal. An emphasis in cooking safety and clean up is also encouraged with each meal prepared. This camp is popular for boys and girls. 7-9Creative 7-9 year olds will be able to use their imaginations here! Campers will work daily on different art projects. Some examples of projects that may be done at camp are: bug boxes, tie-dyed clothing, collages, and puppets. This camp will also teach preparation and clean up skills. 7-910-13Learn the “How-To’s” of fishing! Here you will explore casting, hook tying, live and artificial bait, and cleaning the catch. Campers will catch and release bluegill, bass, and catfish at the pond on camp property. An emphasis in fishing safety is included during the week’s instruction. Bring your own pole, reel, and tackle box with basic tackle. 10-13Learn the basics in riding, horse care, and equestrian equipment. You will practice daily at Fort Benjamin Harrison Horse Barn. This camp emphasizes responsibility, following directions, and appreciation for God’s creation. You will want to wear long pants and tough shoes. These items are required for the morning session. Campers may choose this popular camp one time throughout the summer. The cost of this camp is $215. 10-13This camp is no Sunday stroll, but a fun and intense experience as you bomb down the trails that wind through our hilly woods with plenty of climbs, downhills, tight turns, and obstacles to maneuver around and over. We will use the roads, lawns, and trails on our 98 acre wooded property to learn basic bike maintenance and trail riding skills. Counselors will stress stewardship and appreciation of creation as well as teach campers trail maintenance. You must provide a helmet and bike equipped with front and rear brakes and a gear system. Your bike may be stored at Camp Indy for the week that you attend MBC. 7-9If you play an instrument or just enjoy singing in the shower, you will love MLC! This camp includes elementary voice instruction, exploration of various instruments, and discussions of different music styles. If you would like to bring an instrument from home to share your skills with us, please feel free to do so. 10-13Learn to trust your friends, safety equipment, and climbing skills in this camp. 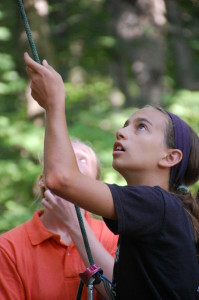 Campers will spend time on Camp Indy’s 40’ climbing tower and learn the basics of belaying and rappelling with a focus on equipment, safety, and climbing techniques. 7-910-13Outdoor adventure camp is all about hiking, nature discoveries, cookouts, and overnight camping. We will use our challenge ropes courses and climb our 40’ rock wall to teach your camper skills in communication, teamwork, and trust. Lessons in good stewardship of creation, building friendships and community will be stressed. Rain or shine we will have a camp out on Thursday night. Campers will assemble their groups’ tent and learn how to prepare the campsite for the night. The evening will be filled with a campfire cookout and extended camp fun! Camp Indy will provide breakfast the next morning before the last day of camp begins. At 9:30a.m. on Friday, we would like to invite moms and dads to watch your camper climb to the top of our rock wall. 10-13Learn how to take and edit pictures that you shoot yourself. You will need to bring your own flash drive and digital camera. These items will remain locked up at camp while they are not in use throughout the camp week. 7-910-13Start with a lump of clay and end with a masterpiece! You will get to use your creativity while you shape, glaze, and fire your piece of art. 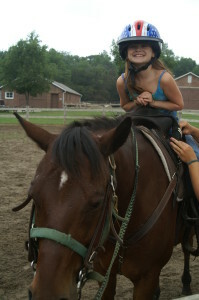 10-13Camp Indy offers a one-of-a-kind camp experience. Our robotics camp will teach your child how to build, engineer, and program VEX IQ Robots from beginning to end! The teams will both work together and compete head to head. The cost of this camp is $215. 10-13Grab a seat! Road Trip Camp is offered to 10-13 year-old campers during the 4 day week of 4th of July. Campers will travel to see the sights of Indianapolis as well as give back to our community. 10-13From spotlight to footlight and everything in between! Find your inner movie, theatre or Broadway star! During this week your child will learn theatre basics, stage movement, stage positioning, and character building. They will enjoy fun acting and improvisation games, thinking on their toes and being pushed to new limits! 10-13In this camp, 10-13 year old campers have the opportunity to draw, paint, sculpt, and more to express the creativity that is in their hearts and minds. We will use the great outdoors to inspire us as we work on projects throughout the week. 7-910-13Whether you swim like a fish or need the help of a flotation device, Camp Indy is the place to improve your skills and learn some new ones. A life-guard staff instructs campers in different swimming strokes and techniques. Some of these include learning free style, breast stroke, back stroke, butterfly, pool games, and water safety. Bring a towel, swimsuit (one-piece for the ladies), sandals, and inexpensive goggles. June 8th the DINO Adventure Day Camp is an introduction to outdoor adventure sports for young people ages 8-16. This is a camp focused on teaching your camper better biking skills, but will offer elective workshops in rock climbing, paddling, orienteering and advanced mountain biking. Go to www.dinoseries.com for questions, pricing, schedule, and registration.